I wasn’t motivated to read Grain Brain because I have health concerns. My body has always been able to do whatever I need it to do, without pain, and I like keeping it the same size, because then I don’t ever have to buy new clothes. All through my life, I’ve preferred to spend money on stuff like books and ice cream and more books, cause a girl has to have priorities. Reading Grain Brain also came right after I read about the Atkins eating program, which is all about learning how to limit your intake of carbohydrates in order to stay lean, muscular, and healthy. My husband read the Atkins book first (in January), then started the first phase of the eating program, which is called Induction, when you limit your carbohydrate consumption to no more than 20 grams of carbs per day. He had AMAZING results. The pounds started falling off (his goal is to lose 70 pounds)– but, even better than that, his debilitating leg and back pain went away. Before Atkins, Greg was in so much pain that he couldn’t sleep at night, and even though he had surgery on his lower spine this past August, the operation did nothing to help him. Following the Atkins eating program achieved what a surgeon (and something like $8,000.00 in paying our insurance deductible) failed to do. So I picked up the Atkins diet book and I read it. Then I did Induction with Greg, not because I wanted to lose weight, but just to team up with him, to help him restock the kitchen, help keep the fridge loaded with proteins and fats, and lots of fresh vegetables, and manage the diet with him. Surprisingly, this was a win-win situation: Greg had help maintaining his new eating program, and the two of us had a sense of camaraderie in the kitchen that felt new and different and fun. It was a good time. Two weeks passed, and I ended up losing eight pounds– eight pounds!! That’s a dress size! That means my clothes don’t fit anymore! So after two weeks of Induction, when I saw the scale, I bought a bunch of Ben & Jerry’s ice cream, gelato, and pineapples, even ate things like oatmeal and cookies, which I normally don’t eat at all, and within two weeks, my weight was back at 138, which is my normal. Phew! Crisis averted. 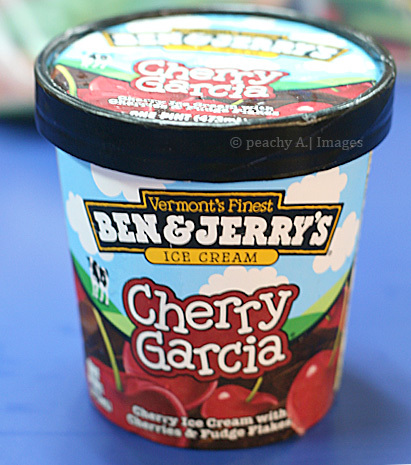 Thank you, Cherry Garcia. I was still eating healthy, low-carb meals with Greg, but when Greg wasn’t around, I ate whatever I felt like. I don’t have noticeable food sensitivities– indigestion, trouble with dairy, caffeine, fried foods, whatever– if it’s food, I can eat it. I’m the grown-up version of a toddler, who will pick up anything and stuff it into his mouth, and then reach for more. And I pretty much stay the same size, no matter how much or how little I consume. Then I read Grain Brain. And learned that a diet full of carbs, sugar (even natural sugar in whole fruit) and gluten is actually silently and steadily killing my brain cells. My brain cells!!! I am damaging my brain!!! My most favorite body part EVER!!! And I went right back to Atkins. Starting on Saturday morning (March 8), which was when I started reading the book. Like, that second. I read chapter one of the book, and it was an instant switch. I do not love Cherry Garcia so much that I will sacrifice my nervous system and my brain cells to eat it. You know those moments when you make a decision, and feel something like a door slam shut in your mind, signaling there is no going back? That’s what I had when I read Grain Brain. It hasn’t even been a week, and those 8 pounds I put back on with ice cream have already been halved, because my weight is dropping again, I’m at 134, and I know it will keep dropping. Because I put my body through this before, and I know I can’t keep myself at 138 unless I eat a lot of carbs. But my 150+ grams (or 300+ grams) of carbohydrate days are over. Cause I’m not ending up with dementia when I’m old. Oh, hell no. If I listed my biggest fears in life, ending up in a nursing home in old age with Alzheimer’s or dementia would be at the top of the list, maybe even contending for first place. Few things freak me out more than picturing myself as crippled, lonely, all my memories gone, and peeing on myself in a wheelchair, staring at the white, chipped paint of a nursing home wall, waiting for some poor underpaid LPN to come change my diaper. No way do I want that kind of future. When I’m in my 90s, I want to be fit, happy, and spry– the same me, only a me with more wrinkles and white hair. A me who is still writing novels, discussing writing with people, maybe even teaching college classes on creative writing at the graduate level. That’s the 90-year-old I want to be. I’m sure not everyone will feel that way if they read Grain Brain. I totally understanding that limiting carbohydrate consumption to no more than 60 grams each day, cutting all gluten out of your diet, and limiting fruit consumption to one serving per day (or none) is just NOT something most people want to do. I did Atkins, after all, and I just thought, “Well, it’s nice to know I can drop pounds, but I like my pounds, so I’ll keep them, thanks.” And I did– I promptly went out and put them back on. But sacrificing my brain cells for food is just not gonna happen. So I’m now gluten-free, my diet is low-carb, and I haven’t had pasta or bread in over a month, and never will again. And you know what? I look at that stuff now and just think: poison. I mean, I am a girl who LOVES her brain, who worships her brain, I would do anything– ANYTHING– for my brain. Changing my diet is peanuts, compared to the lengths I would go to protect my functioning mind. But my pants don’t fit anymore. I’m giving a presentation to my writers group today at the bank, and I went to put on my “professional clothes” but the outfit I wanted to wear looked horrible on me. My pretty purple slacks, which I’ve loved for years, just looked baggy and saggy and awful. Boo. I’m sad about that. I’m lamenting the fact that my clothes aren’t going to fit right anymore. I don’t like having to mess around with my wardrobe. So I am happy for her. And for me, who will get to grow up to be her, because I know she is awesome.